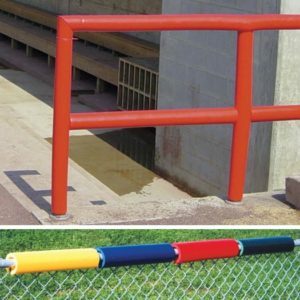 Choose from custom Guard Rail Pads using 1” prime polyurethane foam and 18oz UV Resistant Vinyl, or more economical stock 8’ Safe Foam Padding. 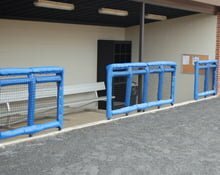 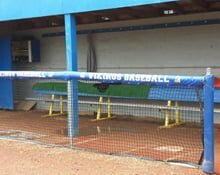 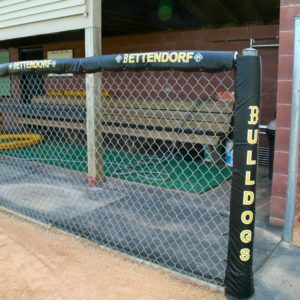 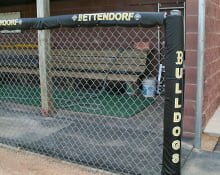 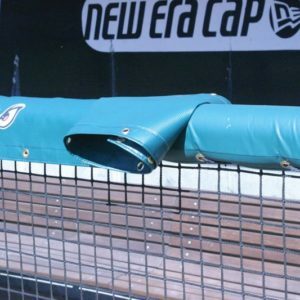 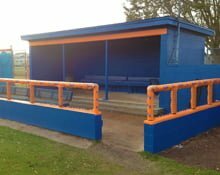 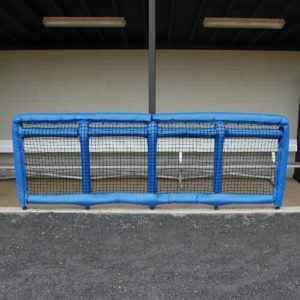 Guard Rail Padding is made custom to order with maximum pad lengths of 10’ each. 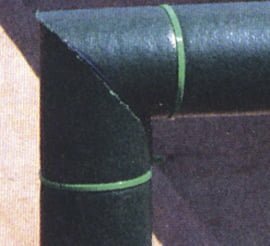 Hems are reinforced with lock stitching and #2 brass grommets every 6” for maximum performance and longevity.